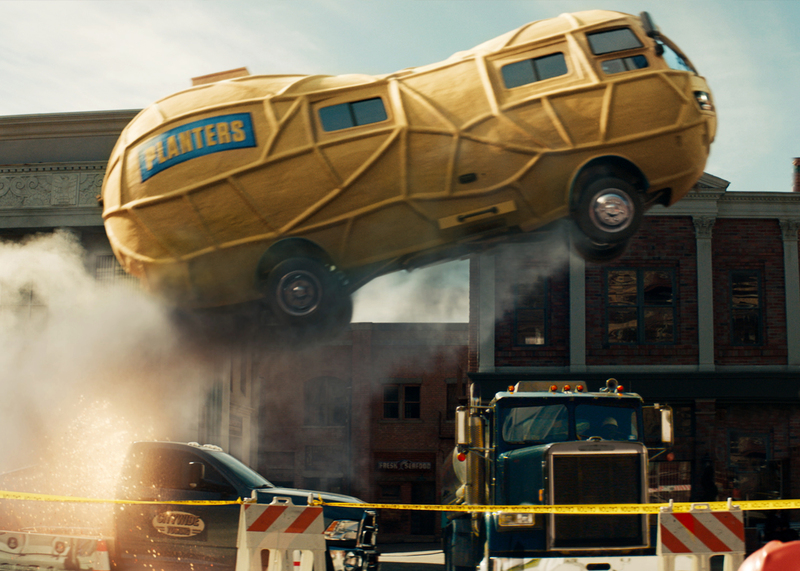 Why is Mr. Peanut driving like this? Today, our editor is going into the belly of the beast: He’ll be a guest on lawyer Arthur “Don’t Call Me NIMBY” Schwartz’s radio show on WBAI. Schwartz reps a coalition of West Village landowners who are demanding the city undo the dedicated bus and bike lanes it installed in anticipation of the now-scrubbed L-train shutdown. Schwartz has claimed he’s only seeking to reduce car traffic that would likely end up on Village side streets if 14th Street became a “busway,” but his group’s anti-bike-lane rhetoric has been alarming (including people leaving dangerous glass and hostile notes). But all of us in the livable streets community want fewer cars in Manhattan — so that’s what we hope to convey to Schwartz’s listeners today at 5 p.m. on 99.5 FM. Tune in! Taxi drivers rallied against the new congestion fee in front of Gov. Cuomo’s Midtown office on a Sunday when he’s not there. (NY Post) The same paper’s coverage of the taxi-only fee was oddly written to suggest all drivers are now subject to the charge. The Times took a lot at a new Muslim community police patrol in Brooklyn. If you have a problem with that, you’d better have a problem with Shomrim, too. Forbes became the latest outlet to realize that the rise in pedestrian deaths is a big deal. And finally, here’s the Streetsblog angle on the Super Bowl: Every single car commercial conveyed the notion that automobiles exist to inspire human achievement. Even the two commercials that mentioned how drivers nearly killed a violinist and a football coach were presented not as carnage that should be stopped, but as mere hurdles for the human spirit to leap past. Why does biting into a new and improved Dorito make the snacker suddenly get an upgraded hot rod? Why is Mr. Peanut driving recklessly to make sure A-Rod doesn’t eat a kale chip by accident? Why does the owner of a Mercedes get to vaporize parking tickets? Why did Big Boi show up for the halftime show in a Cadillac? (Isn’t a football field mapped as green space?) Wake up, America! Way back during the Walder Administration at the MTA, NYCT actually published the fare recovery percentages of different bus lines. I guess we see why that wasn’t done before or since. It could be thrown in Oddo and Rose’s face. I don’t think there were “extra” buses. They were going to be diverted from other lines. So why not divert them anyway? You see think kind of thing all the time. I think it’s interesting that the NYPD had no comment on the Queens wreck. “The NYPD Collision Investigation Squad were working Sunday to determine what caused the deadly crash.” Why not “it’s possible that the driver was exceeding the speed limit”?